The TECHT G3 Spec-R/ G4 L7 H.E. 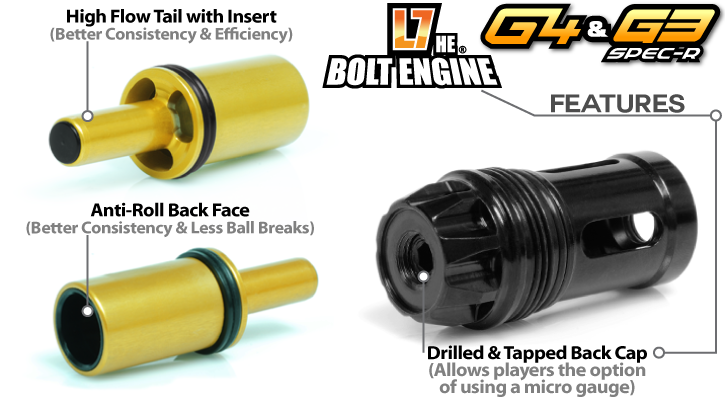 Bolt Engine totally reconfigures the Stock G3 Spec-R/ G4's method of operation. By replacing the stock style bolt with our proven L7 style bolt head, performance is increased on every level. Our newly redesigned L7 H.E. (High Efficiecy) Bolt produces even lower operating pressures, shorter dwells, better consistency, better efficiency, lower sound signature...the works. The TECHT G3 Spec-R/ G4 comes with a lifetime warranty, as do all TECHT products. It is constructed of high grade aircraft aluminum and goes through our licensed anodizing method to make them both durable and great looking. 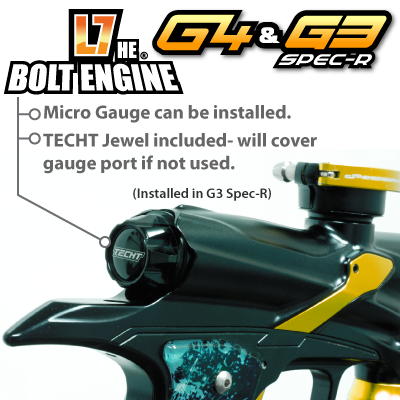 The TECHT G3 Spec-R/ G4 L7 H.E. Engine Bolt includes a completely new "tool-less" backcap, now with a drilled and tapped port for the ability to use a micro gauge, as well a jewel decal to use if you opt to not operate with the gauge. 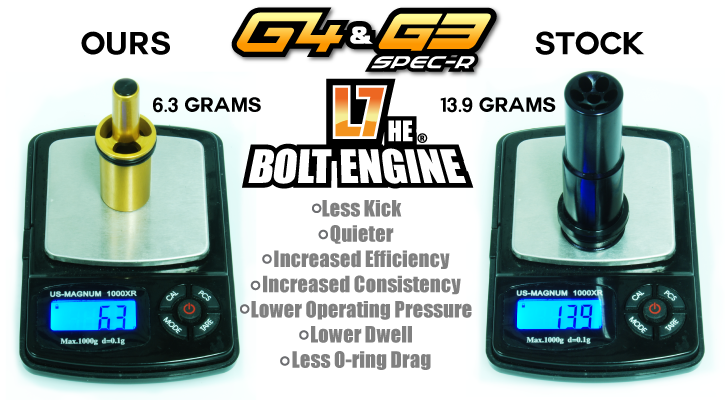 Unleash your G3 Spec-R/ G4's full potential with an L7 H.E. Bolt Engine. 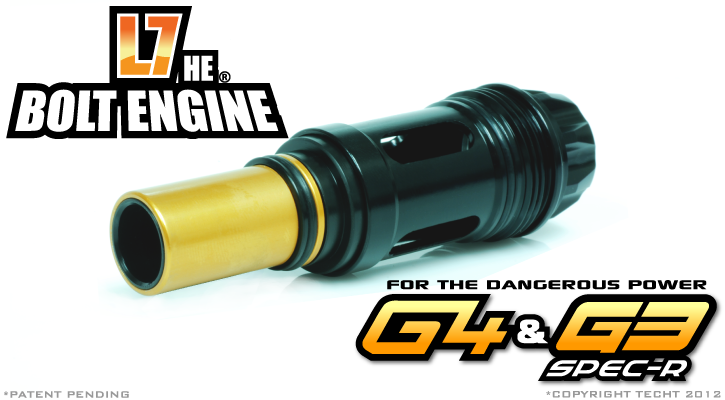 The Baddest, nastiest upgrade available for the G4 or G3 Spec-R! Get yours now! 3x complete rebuild for the TechT G4/G3 Spec-R bolt engine.